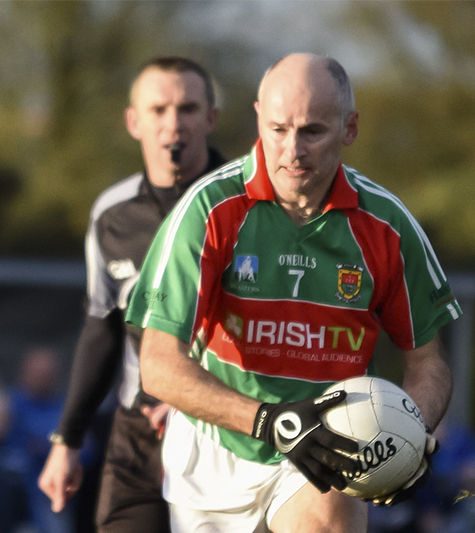 Never was the phrase “a consistently high standard the measure of greatness” more appropriate than at Clonberne GAA Club, Galway, on Saturday last, when Mayo and Cavan met in the All-Ireland Masters Final, sponsored by Irish TV. The battle of the “Titans”, as each team strove at their mightiest, to secure the title, served up a feast of football with an intensity and excitement to equal that of the recent meeting of the All-Blacks and Ireland at Soldier Field in Chicago. This game was classic end to end, point for point stuff. Blink, and you could miss a piece of football skill that one might be inclined to associate with a younger generation of footballers. With no quarter asked for or given, the fitness and skill levels produced had the large gathering present on their feet, vocalising their approval for the entire game. The ding-dong battle continued for a further period of extra time as sixty minutes of football could not separate those warriors. And so it was at the finish, the game ending in a draw, and as anti-climatic as all draws are, no one could disagree with the result as both teams deserved another crack at the title. 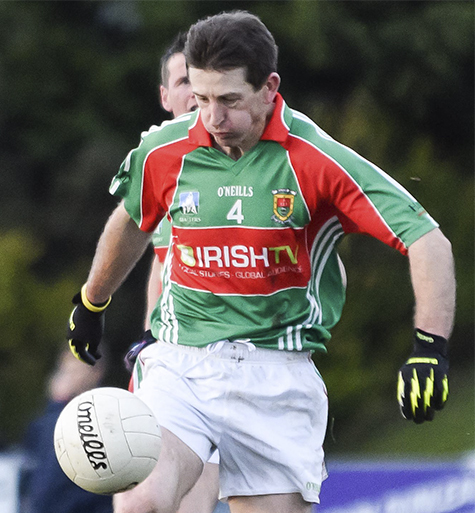 The tigerish defending of our "youthful home-grown" members of the Mayo squad, led by team captain Pat Mulchrone, Kieran Hastings, Darren Madden (injured), James Prenty (bench) and last years captain, Declan Ryan, played no small part in ensuring a second meeting of those purveyors of the skills of football reminiscent of an earlier time. If the return match is half as exciting, then you would do worse than make a note in your diary to attend and cheer on those noble Mayo men. Date, time and venue of the replay have yet to be decided. (Watch this space).